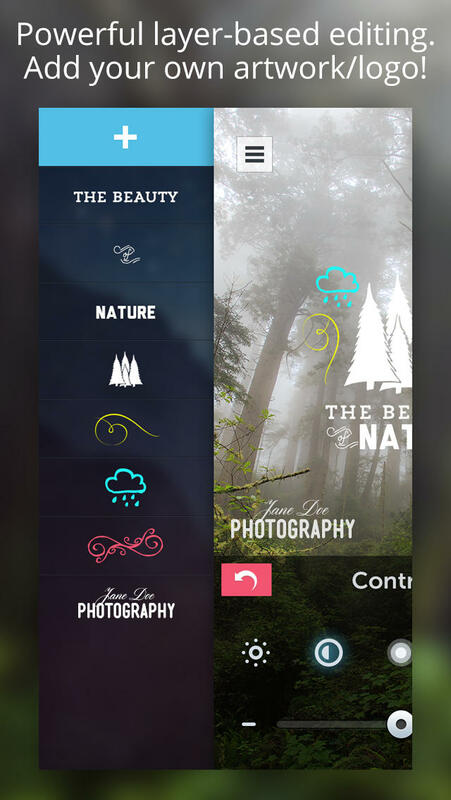 PicLab HD is a powerful design studio in the palm of your hands. Create beautiful photos by adding text, artwork, light leaks, textures, grains, photo filters, adjustments, and much more to your photos - while using one of the most beautiful and simplest interfaces to date. Download now and look forward to amazing new features and enhancements to the app monthly! 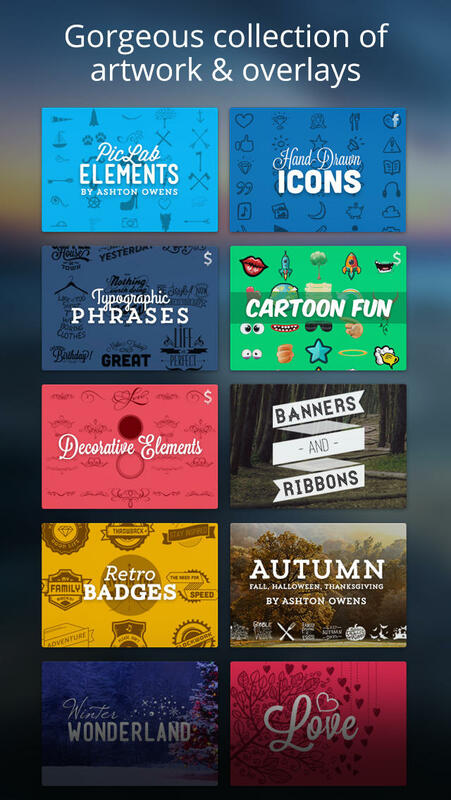 PicLab HD is a universal app - available for your iPhone, iPad and iPod all for the price of one! Beautiful Typography - You'll love our carefully selected collection of fonts from some of the most talented designers from around the world. Easily add multiple text layers, controlling their size, positioning, opacity, rotation, kerning & color. You can also curve and bend your texts using PicLab HD! 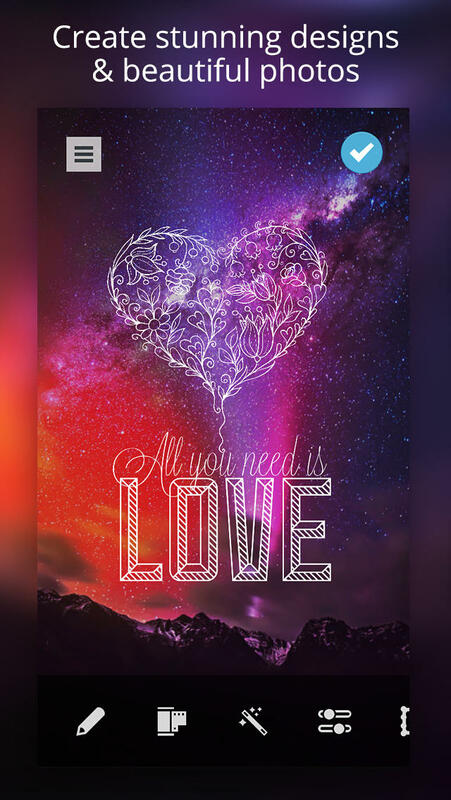 Gorgeous Artwork - PicLab HD comes jam-packed with hundreds of irresistibly gorgeous illustrations, decorative ornaments, and design elements. Layer-based Editing - Our layer-based editing makes even the most complicated of edits an absolute breeze to create. 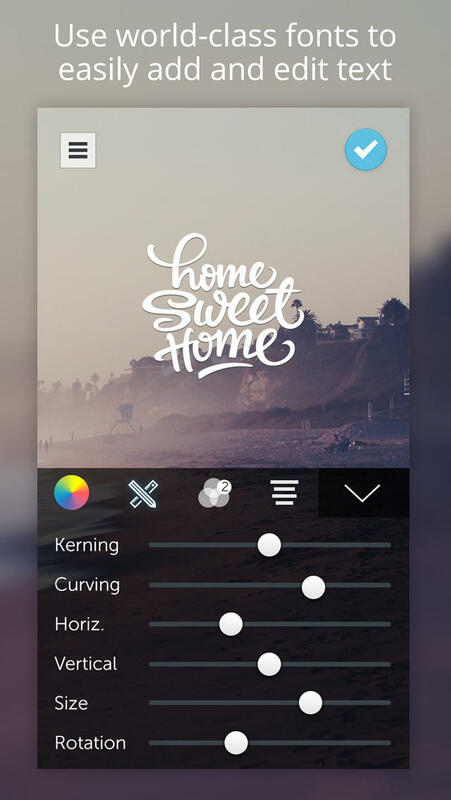 Tap the side menu to select a text or artwork layer, or re-arrange their orders by long-tapping and dragging to the desired position. Add Custom Artwork - Import custom artwork or your own logo, and use it in your photos as a fully editable layer. This is perfect for the mobile creative, and a big plus to branding efforts everywhere. You could also use this feature as a collaging tool! Light/Film Effects - Apply some of our uniquely beautiful Light & Film effects to your photos. Choose from our carefully crafted blends of light leaks, film grains, textures, gorgeous gradients, magical effects, and more! 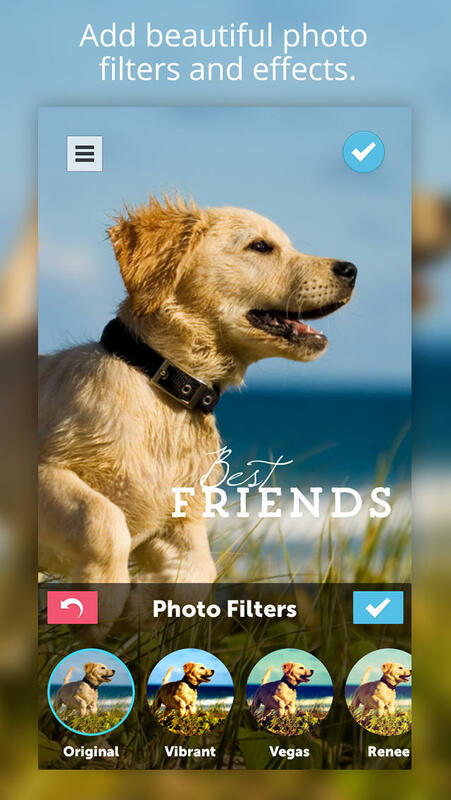 Photo Filters - Choose from one of our 10 beautiful filters (and growing!) to get the look you desire. Photo Adjustments - Finely tune the brightness, contrast, exposure, saturation, and the blur level of your photos. Crop Tool - Choose from a variety of aspect ratios - including the popular 1:1 ratio - perfect for Instagram. Frames - Choose from a collection of our dynamic photo frames, with the ability to adjust their color.